By Ian Pollard in News and Views, Uncategorized on 13th November 2018 . 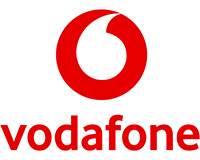 Vodafone Group plc “challenging competitive conditions” are words which bring a chill to the boardroom of any company and Vodafone is no exception. Quite simply the impact of its problems turned it from a profitable company in 2017 to a loss making one in the first half of 2018. Group revenue declined by 5.5%, impacted by those troublesome foreign exchange headwinds, the adoption of IFRS 15. and the sale of Quatar. With all these impacts the loss for the half year came in at €7.8 billion, including the further impact of a €3.4 billion loss on the disposal of Vodafone India. Impairments of €3.5 billion in Spain, Romania and Vodafone Idea, added to the company’s woes. Some of its customers may say that this is the year when at last Vodaphone got its comeuppance. Taylor Wimpey TW Claims delivery of a strong performance during the second half of 2018, with very strong sales, a supportive lending environment and of course huge and completely unjustifiable support from the taxpayer. The order book remains strong, with a 12% rise on last year and customer demand is robust. Shareholders naturally get their rewards with the return of £600 million by way of total dividends promised for 2019, a 20% increase on 2018. IQE plc IQE confirms it was notified yesterday, following an announcement made by a major chip company in the VCSEL supply chain , that the chip company had received notice from one of their largest customers for 3D sensing laser diodes that they would materially reduce shipments for the current quarter. As a result IQE expects revenues for the full year 2018 will be approximately £160.m.compared to £154.6m for 2017, whilst adjusted EBITDA is expected to be approximately £31m as against £37.1m for 2017. The slowdown in shipments will therefor materially impact expected year end revenues and profitability at IQL. 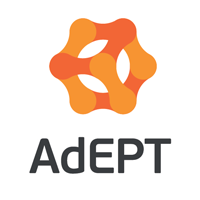 AdEPT Tech Group plc ADT is delighted by the continued progress being made by the Group in its transformation.Total revenue for the six months to the 30th September rose by 9.5%, EBITDA by 10.7% and the interim dividend is to be increased by 15.3% to 4.9p per share. James Cropper plc CRPR Produced revenue growth in all divisions with total revenue up 6% in the half year to the 29th September. Profit before tax however at £1.4m, fell by 39% compared to 2017 and earnings per share were down by 44% as profitability was impacted by higher pulp prices over the year.